It became a trend in Indian media to portray start up winning stories of IIT or IIM graduates.Majorly Indian Media think that general public very much "interested" to read such winning stories and get motivated by it. Media is also interested to specifically publish stories of drop outs from IITs and IIMs who created some kind of start ups. It is good that media is at least publishing these stories. Given that the IIT acceptance rate is below 2%, there are many qualified Indian students who don't make it into IIT but go out there and create amazing start ups. Their stories are often get dwindled down. Here are top 5 Top Startups Run by a 'NON'-IIT or 'NON'-IIM graduates in India. Shashank and Abhinav Lal at National Institute of Technology, Karnataka. Practo is platform to find specialist doctors in nearby localities of the user. Practo provides services in major cities in India - Bangalore, Chennai, Delhi, Hyderabad, Kolkata, Mumbai and Pune as well as in foreign countries such as Singapore, Indonesia, Philippines, Brazil and Malaysia. The company was founded in Bengaluru, in 2008 while both of the were studying in the final year of B.Tech, computer engineering. 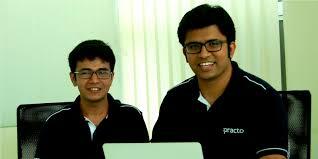 Practo is the Asia’s 1st doctor search engine used by over 1 million patients every month. There is another product from them which is called Practo Ray – the practice management solution for doctors to help them in managing appointments and digital healthcare records. Satya Prabhakar at National Institute of Technology, Tiruchirappalli. Satya Prabhakar was born in AP and moved to US for further studies. He have done his Masters in Computer Science from University of Florida. Sulekha.com has a US, UK and UAE division also and have more than 1500 employees. They cover major cities such as Bangalore, Chennai, Delhi, Mumbai, Hyderabad, Pune, Kolkata, Ahmedabad, Gurgaon, Faridabad, Ghaziabad and Noida. Ritesh Agarwal, a college drop out. Ritesh Agarwal was born in born 16 November 1993 and started his entrepreneurship at the age of 17. He got into University of London’s International Program provided by the Indian School of Business and Finance, Delhi but could not stay in academic course. He got the Thiel fellowship for under-23 entrepreneurs that offers $100,000 for a start up. 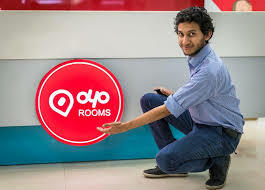 Oyo [on your own] was started as Oravel.com and later became Oyo. They have a listing of 65,000 rooms in more than 170 cities. It has a 150-point standardization checklist and a 30-point audit checklist making the hotel accommodation more standardized.